Della and Lila Meet the Monongahela Mermaid, 1st. ed., hardback. A beautiful keepsake! A beloved local landscape provides the backdrop for this story about two sisters, Della and Lila, who befriend a mermaid in trouble. Della and Lila Meet the Monongahela Mermaid, 1st. ed., hardback. A beautiful keepsake! A beloved local landscape provides the backdrop for this story about two sisters, Della and Lila, who befriend a mermaid in trouble. As the increasing mistreatment of the Monongahela River persists, Marina the Mermaid turns to two little girls, Della and Lila, to help her save her home. 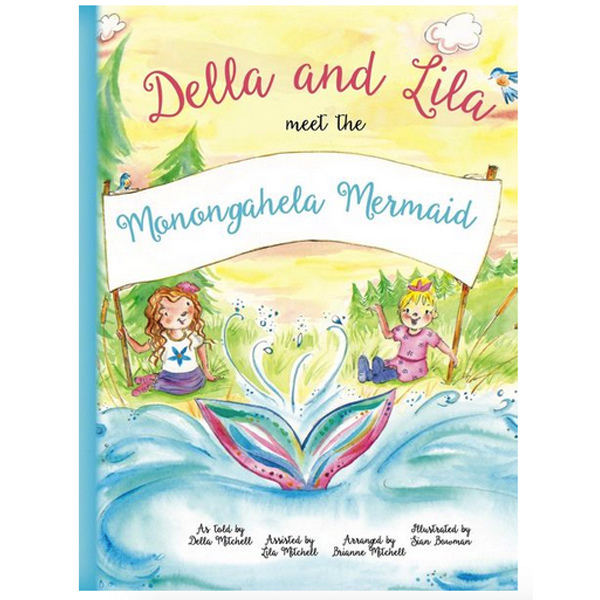 Della and Lila rally their family and friends and form a summer-long campaign to raise awareness about pollution and ecological damages in the Monongahela River. The girls and their friends work very hard to try and save Marina’s home. But, will they be able to do it? 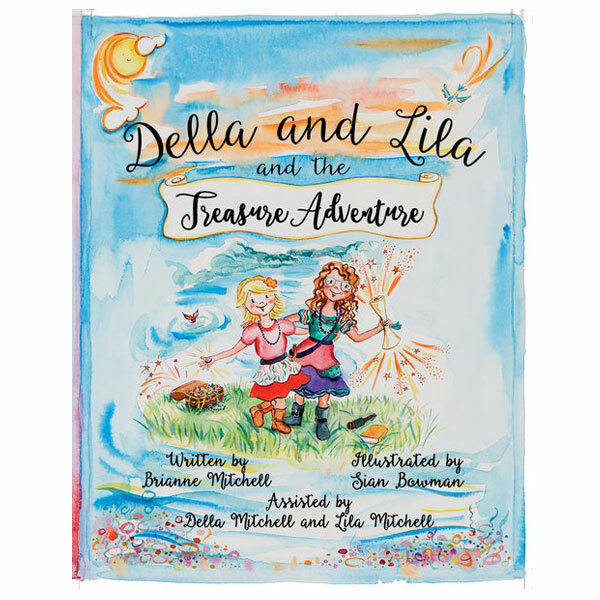 Find out what happens when Della and Lila work together with their family, friends, and community to help save the river.